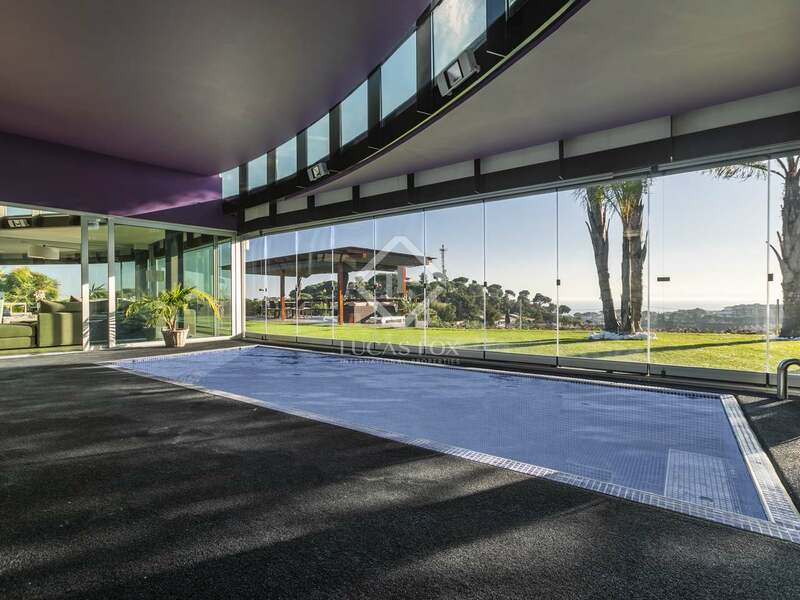 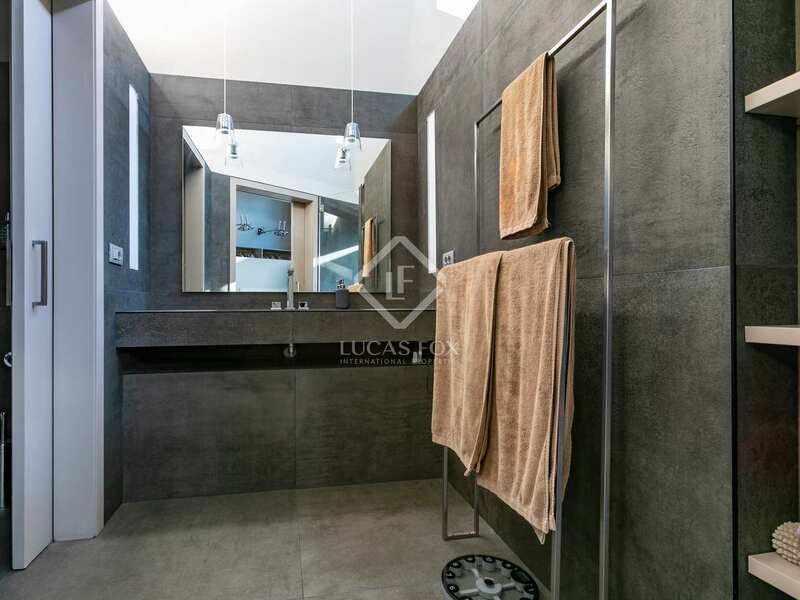 Unique 625m² property in a privileged location with indoor swimming pool and panoramic sea views. 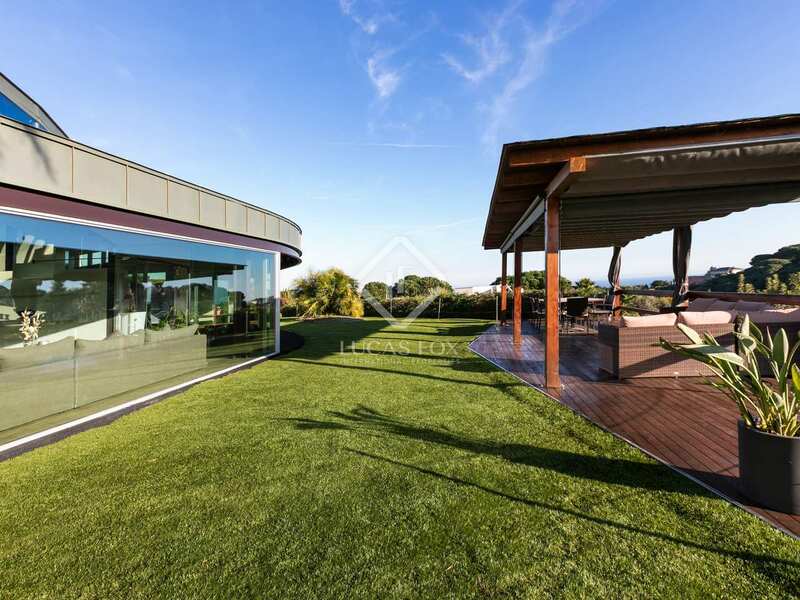 This unique designer property by the award award-winning Mias Arquitectes sits in a privileged location in the hills above the town and enjoys panoramic sea views. 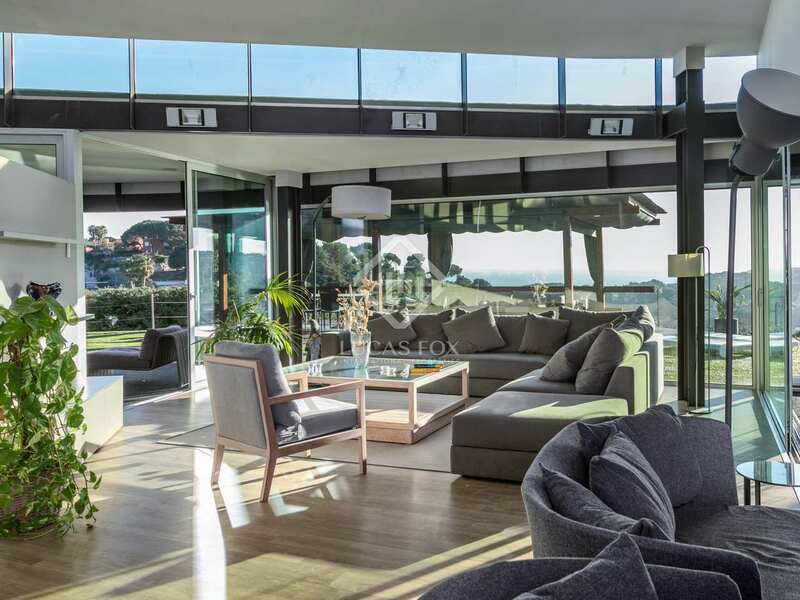 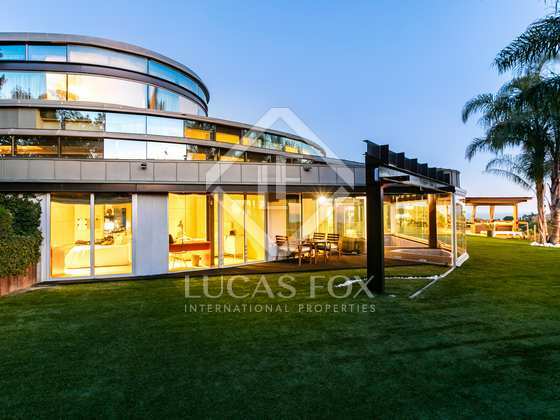 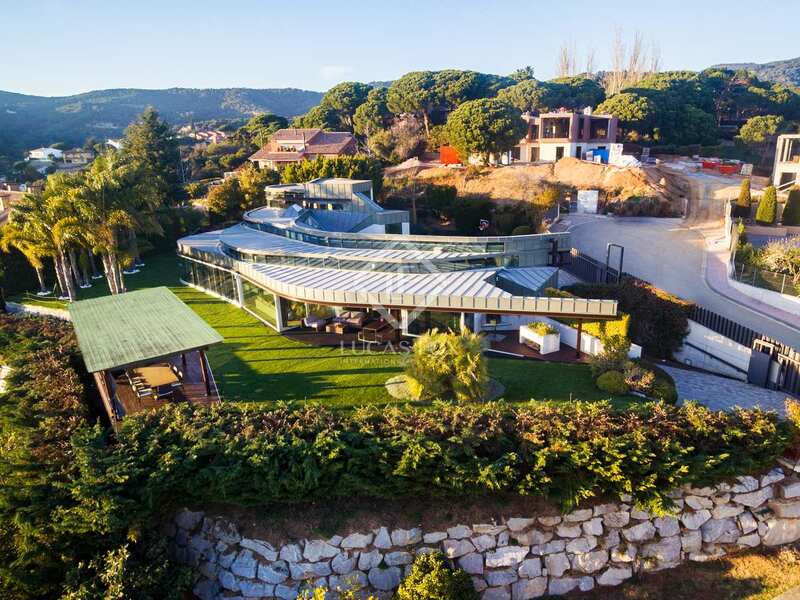 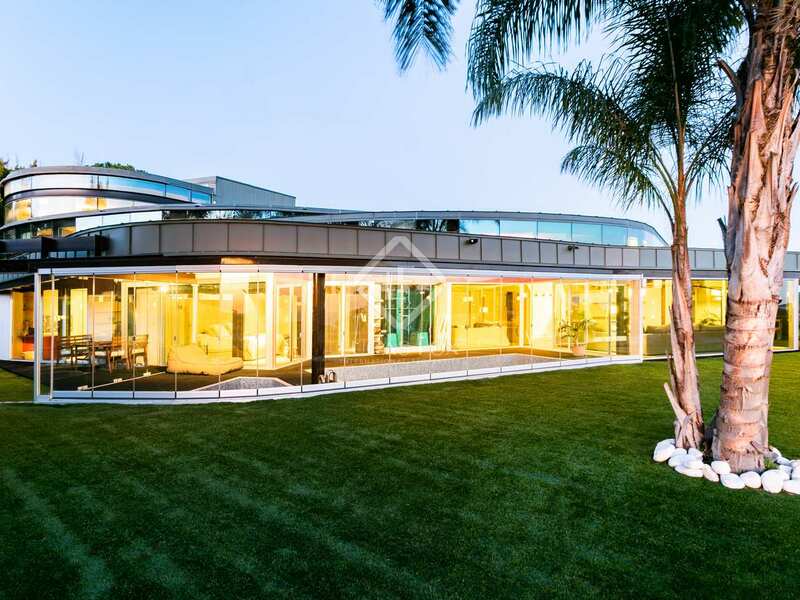 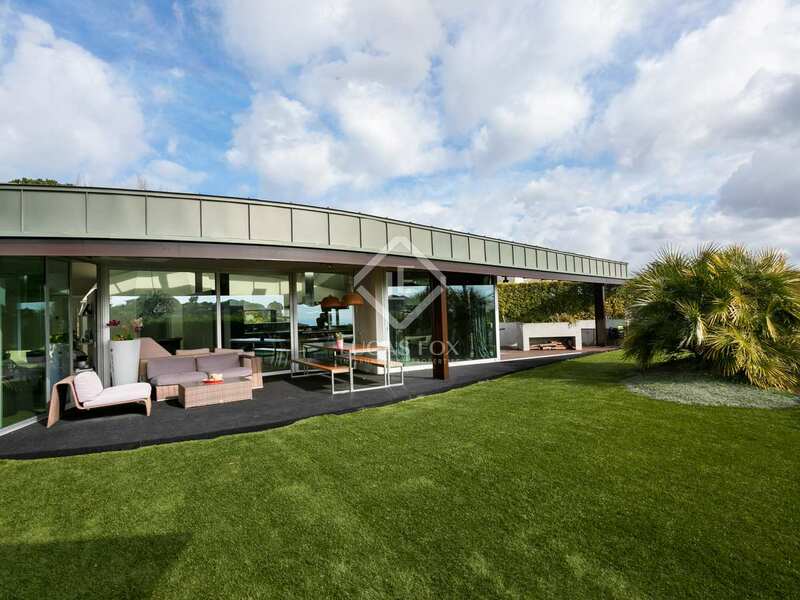 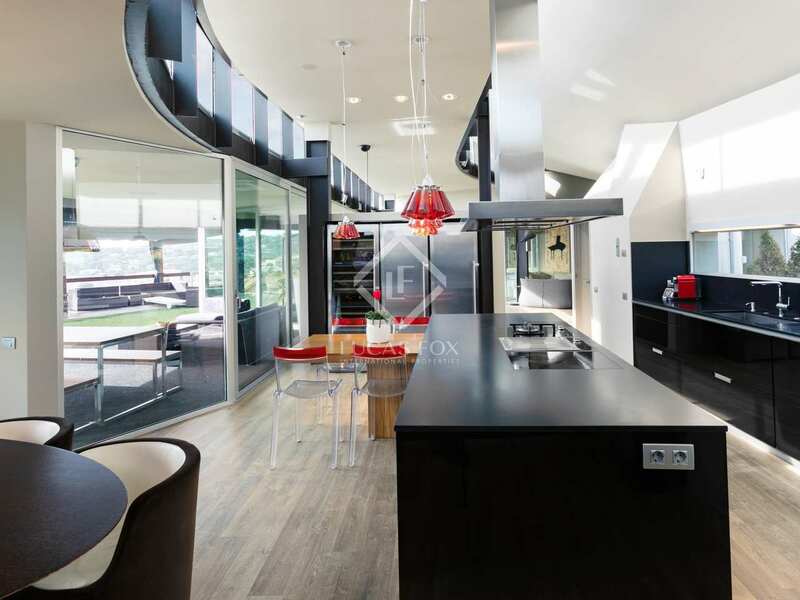 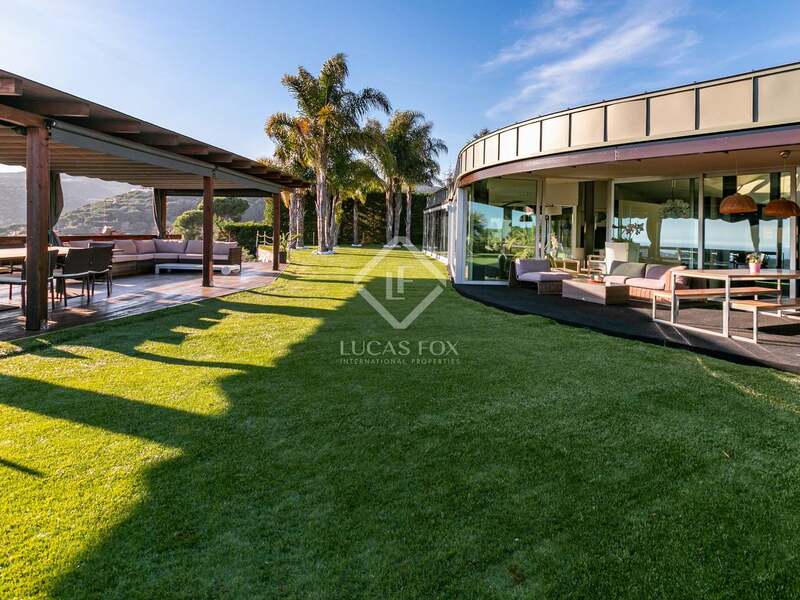 Built in 2009, this spectacular designer house has a curved, longitudinal form that blends into the local topography and has a fabulous glass façade that embraces panoramic views from its entire length. 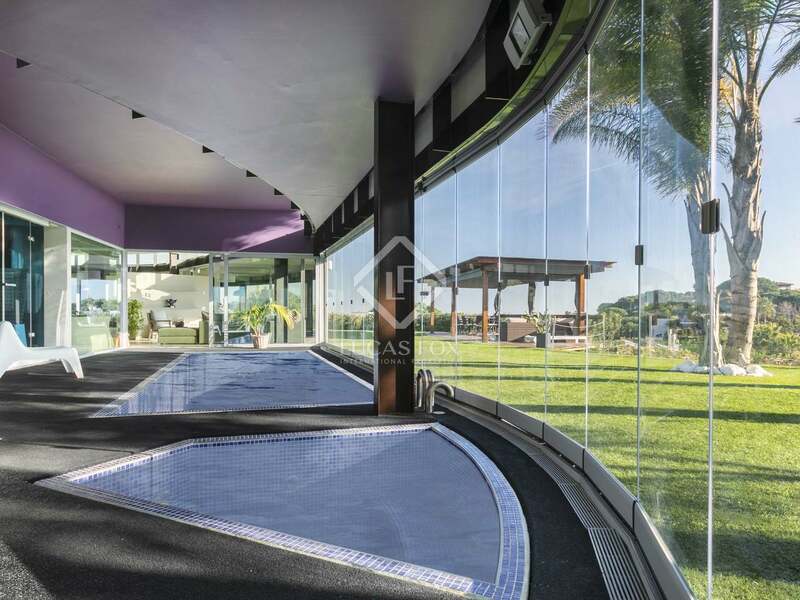 The indoor swimming pool and Jacuzzi enable year-round swimming and look out over the garden from behind glass doors that can be fully retracted to bring in the perfect summer weather. 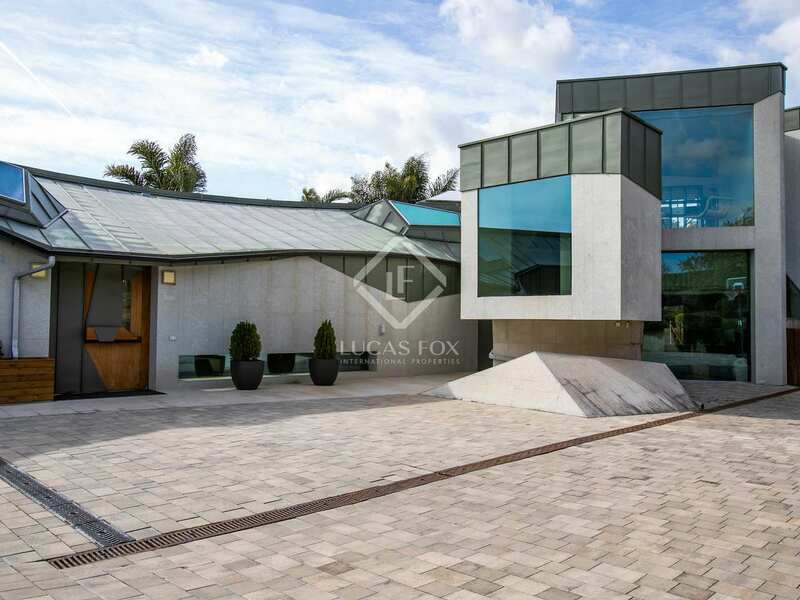 The zinc roof and striking steel beam and concrete structure are designed to maximise the feeling of space, while glass walls and windows ensure that natural light floods every room and the views can be enjoyed from inside and out. 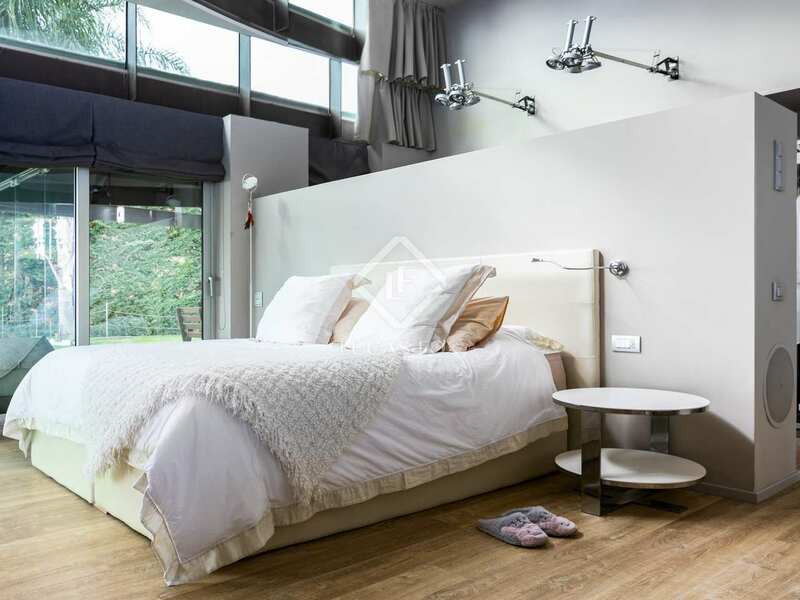 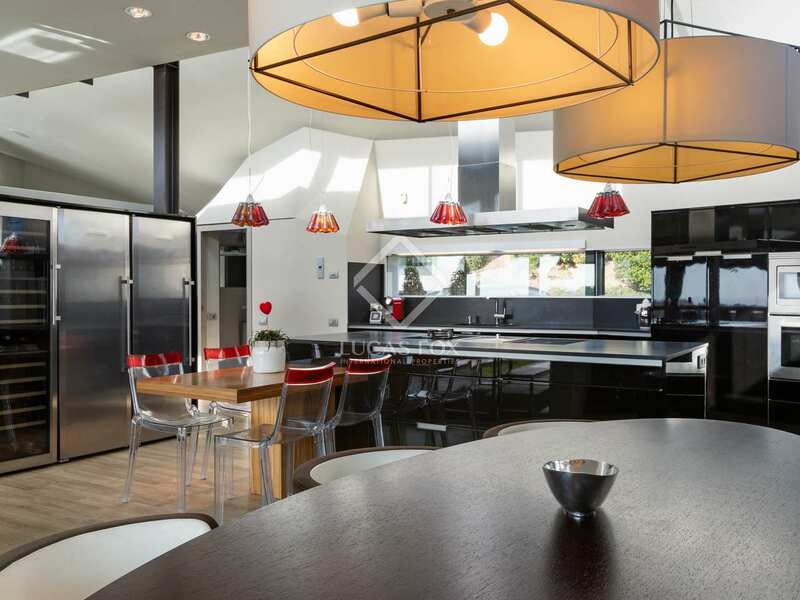 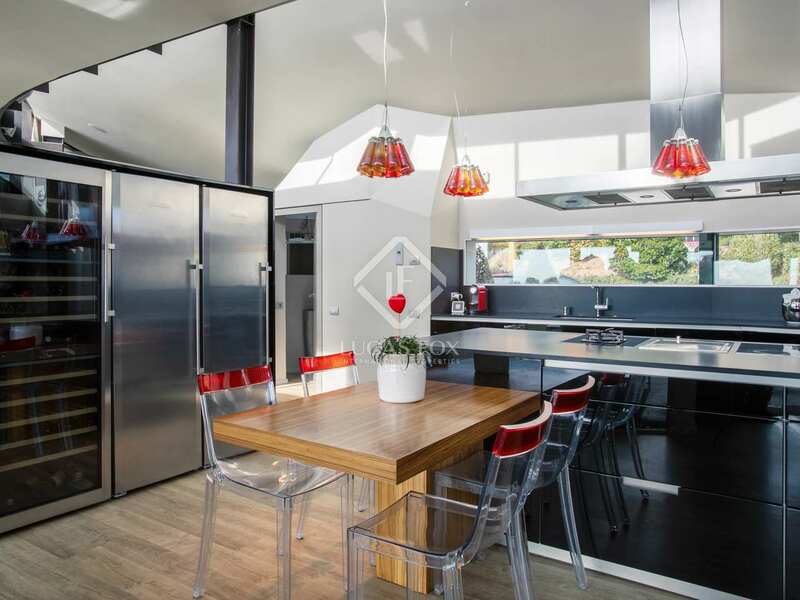 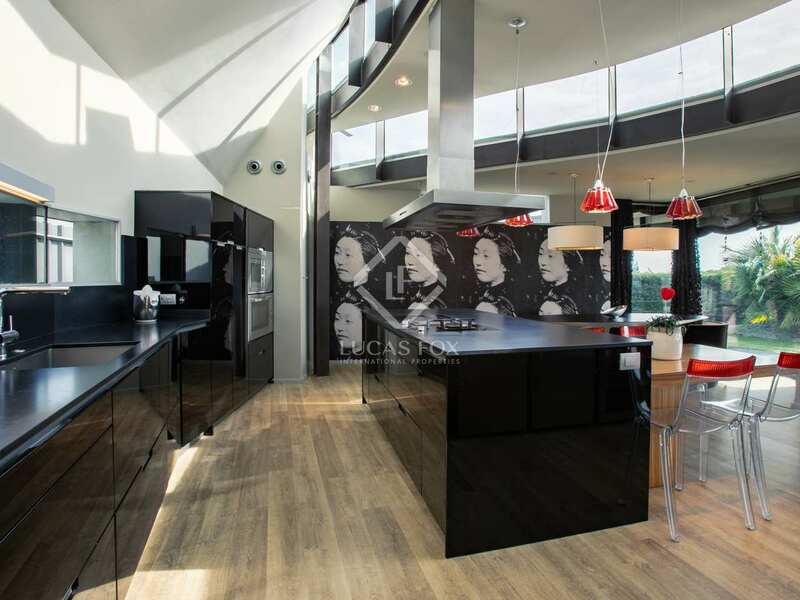 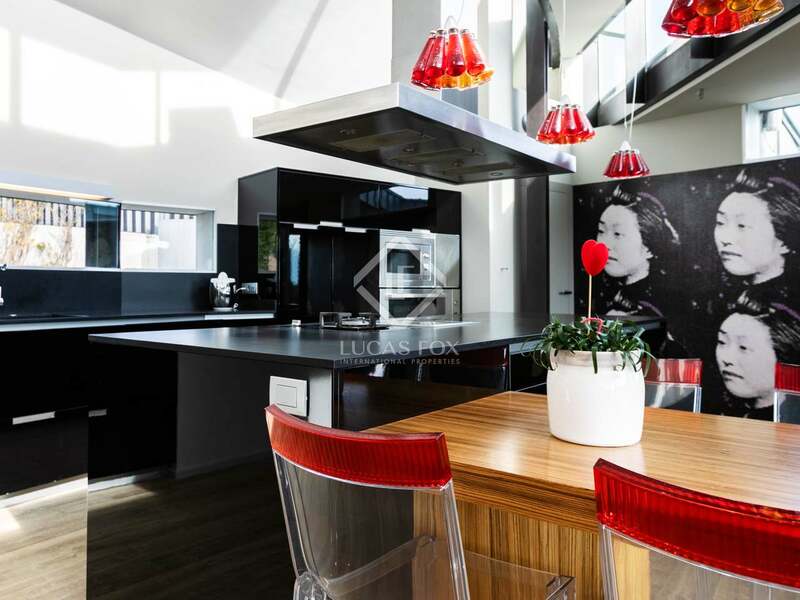 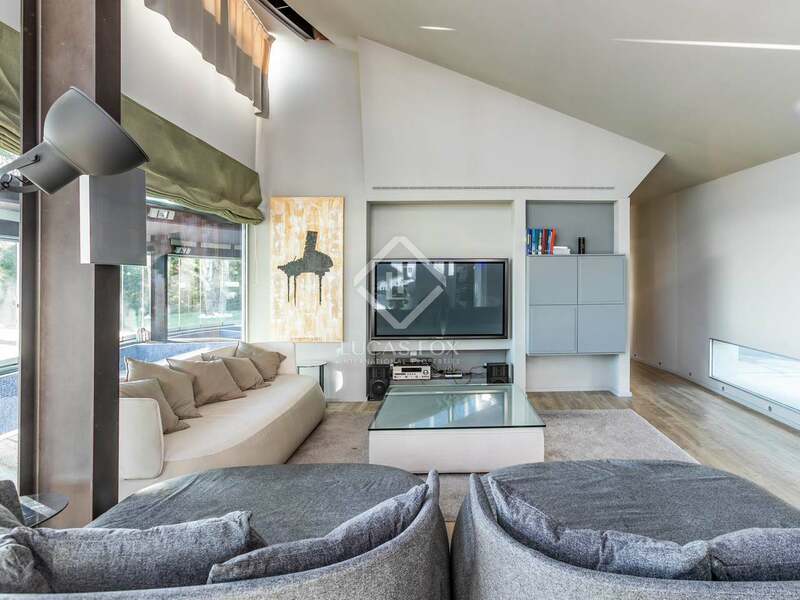 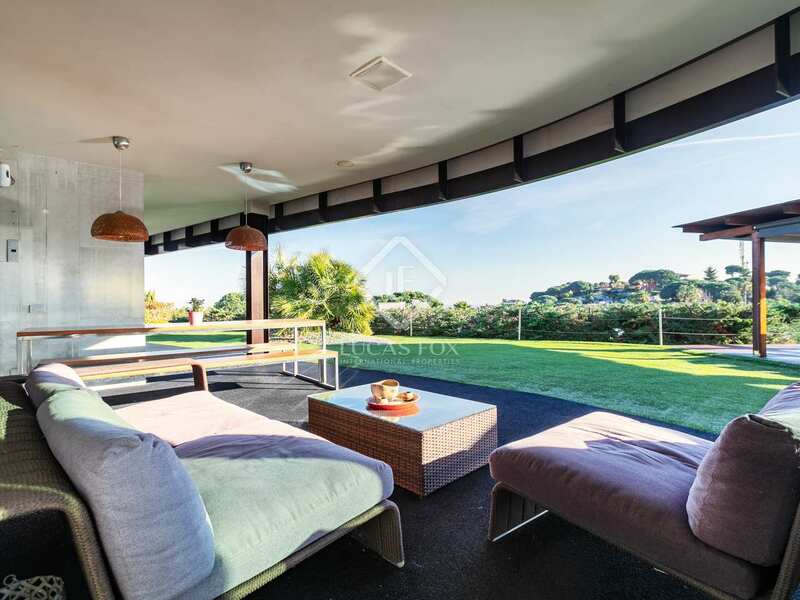 The living and sleeping areas are distributed mainly across one level and include a semi-open-plan living, dining and kitchen space with full views and direct access to the garden. 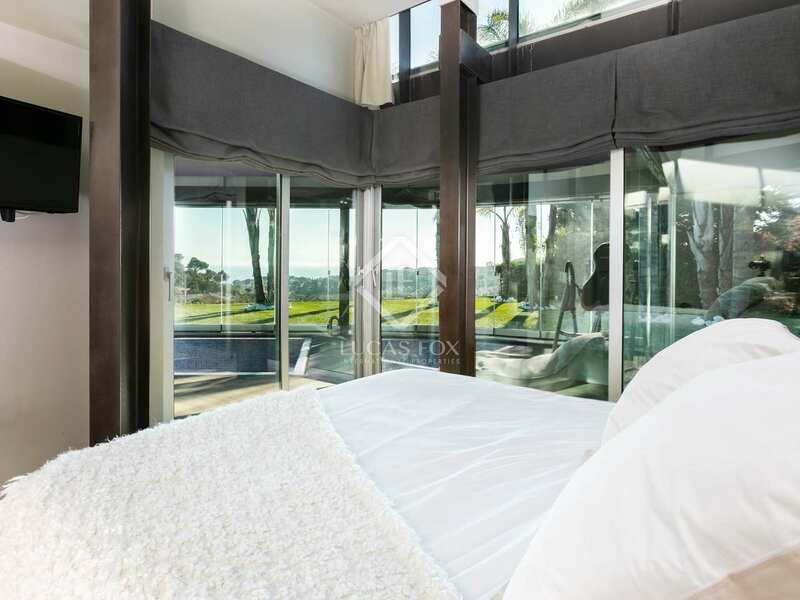 The master bedroom has a bathroom, dressing room and bathroom, and also has access to the indoor/outdoor pool. 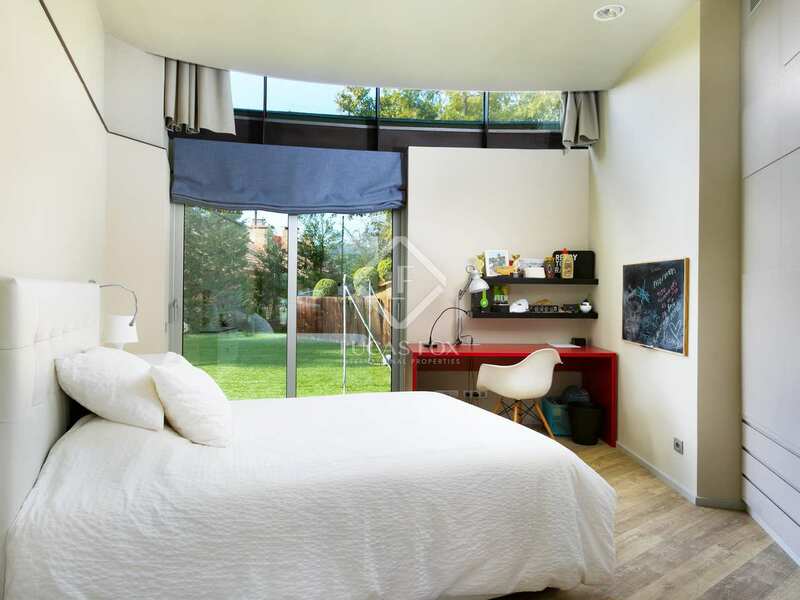 The 2 further double bedrooms have fitted wardrobes and access to the garden. 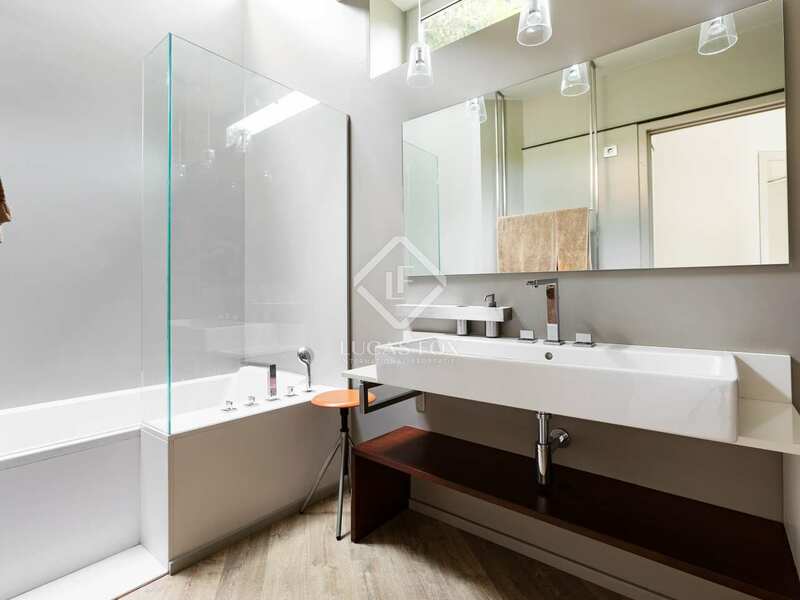 There is also a bathroom, study, guest WC, laundry and storage room. 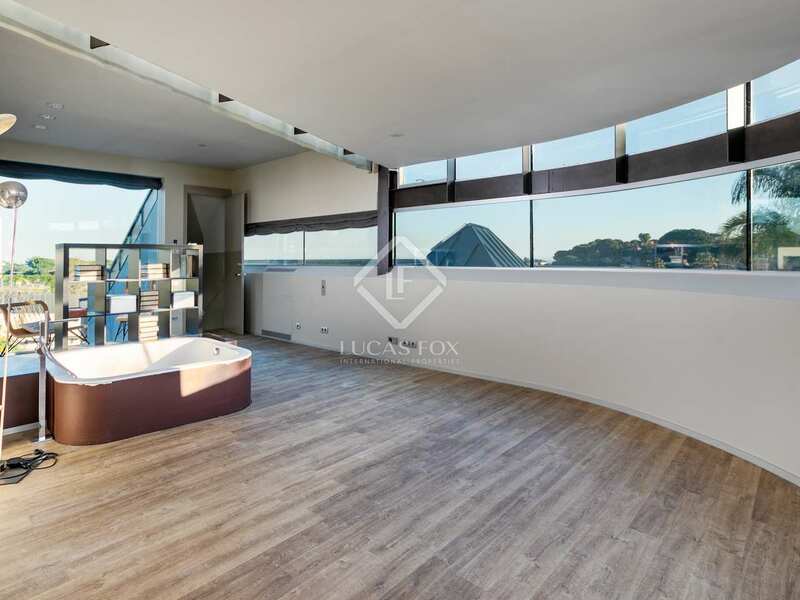 On the upper floor, a large double bedroom suite with bath provides a separate space and has its own sweeping curved glass windows. 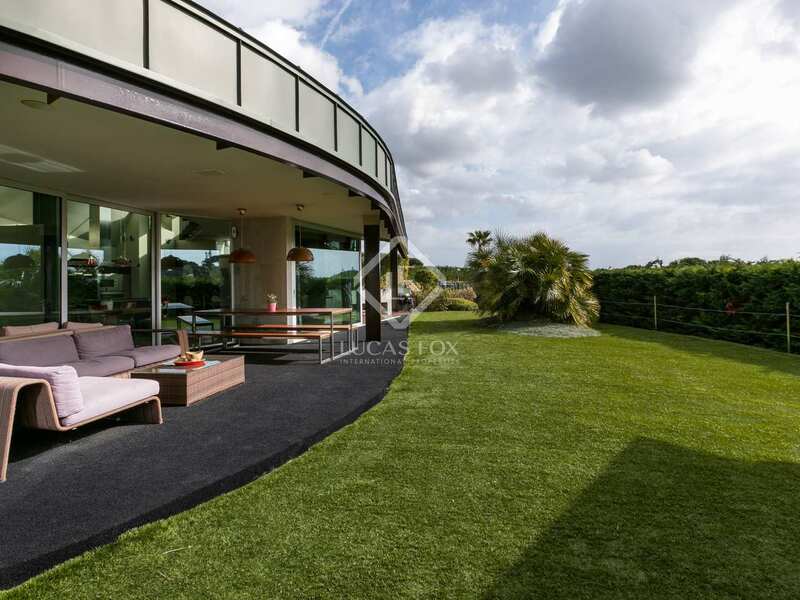 Outside, the level garden features mature trees, an artificial lawn and plenty of spaces for al fresco dining and chilling out. 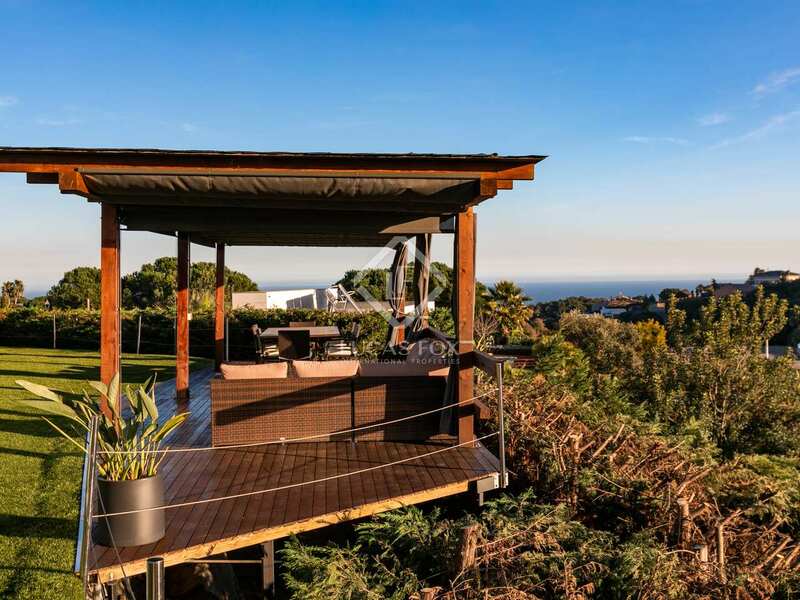 There's a lovely seating area and barbecue attached to the house, while a large pavilion deck hangs out above the ridge to add a new perspective on the views. 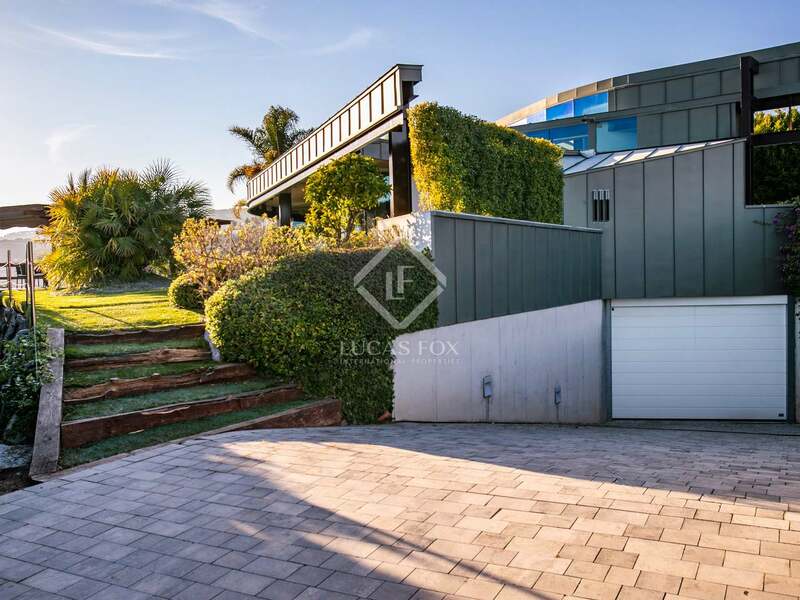 Downstairs, the basement level has self-contained guest or service apartment with kitchen, bathroom and bedroom, along with garage parking for at least 8 cars, storage rooms, another toilet and a machine room. 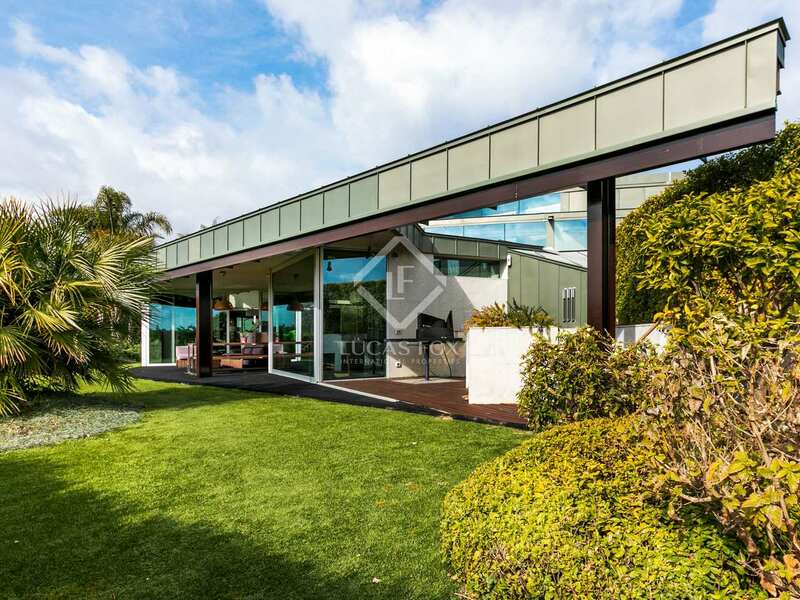 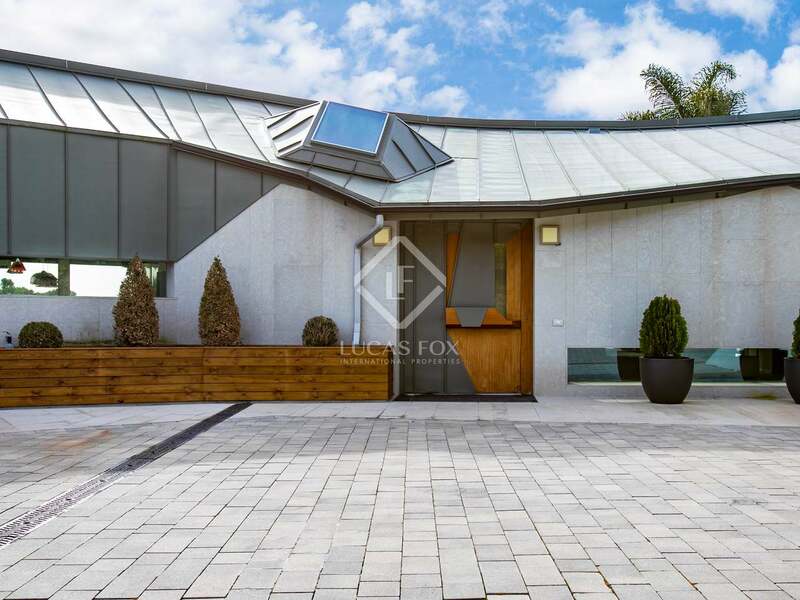 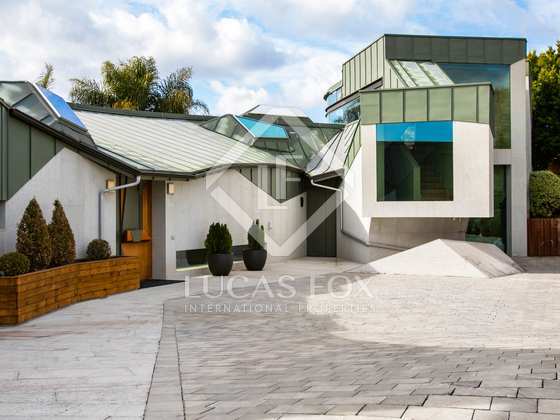 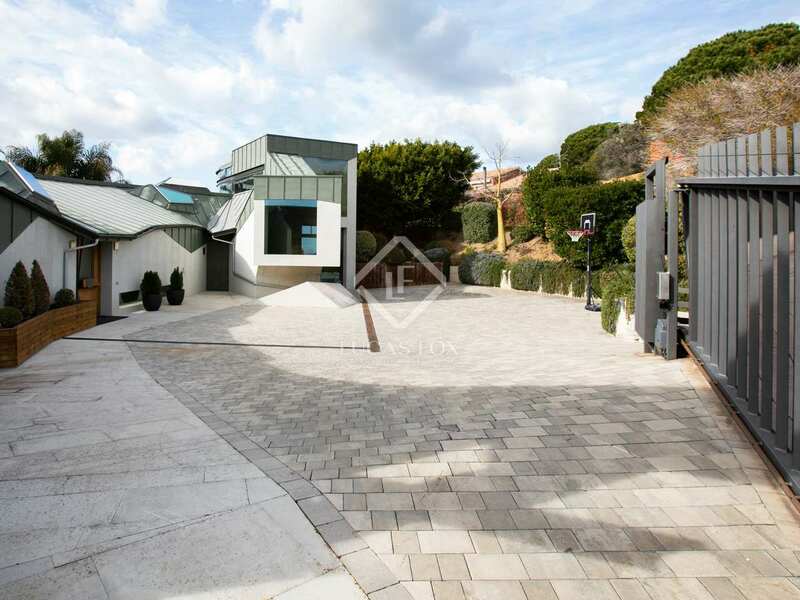 There is also plenty of outdoor parking in a driveway that presents an unforgettable first impression of this property's unique architecture. 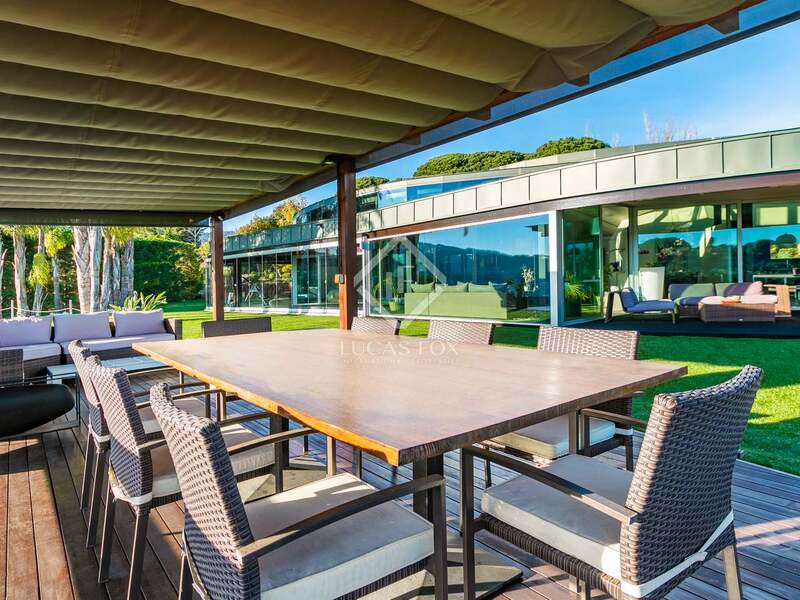 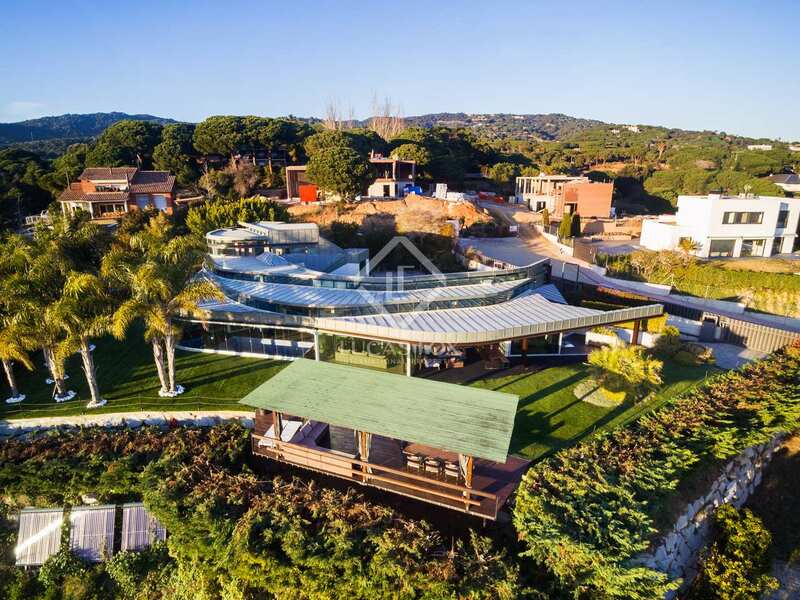 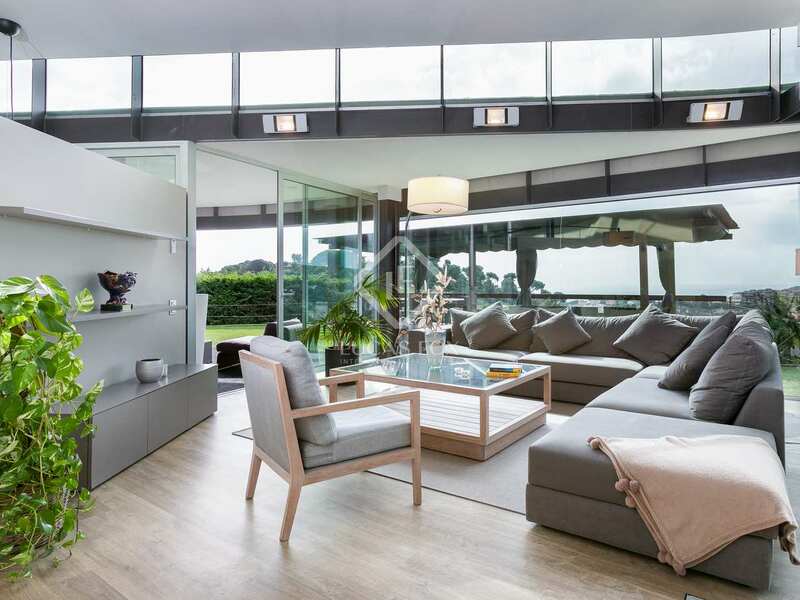 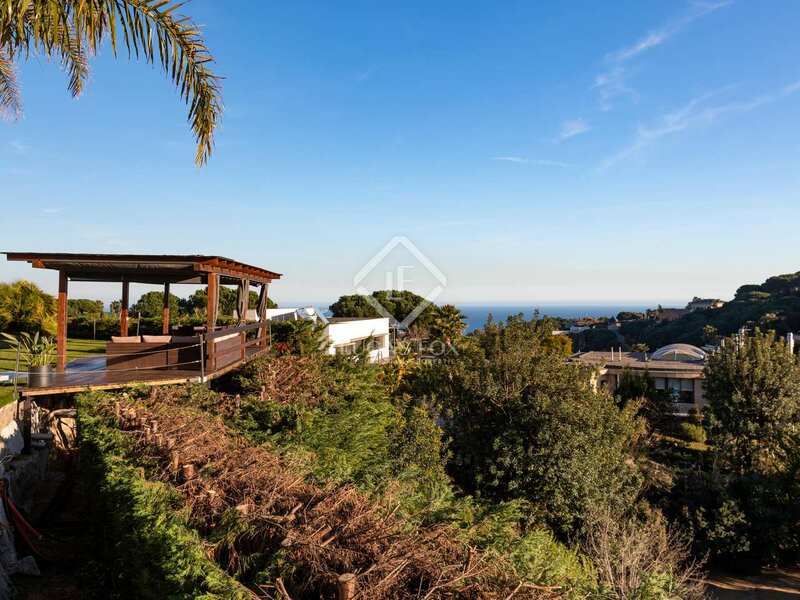 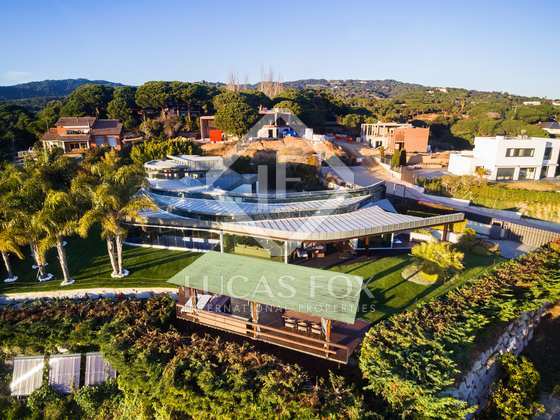 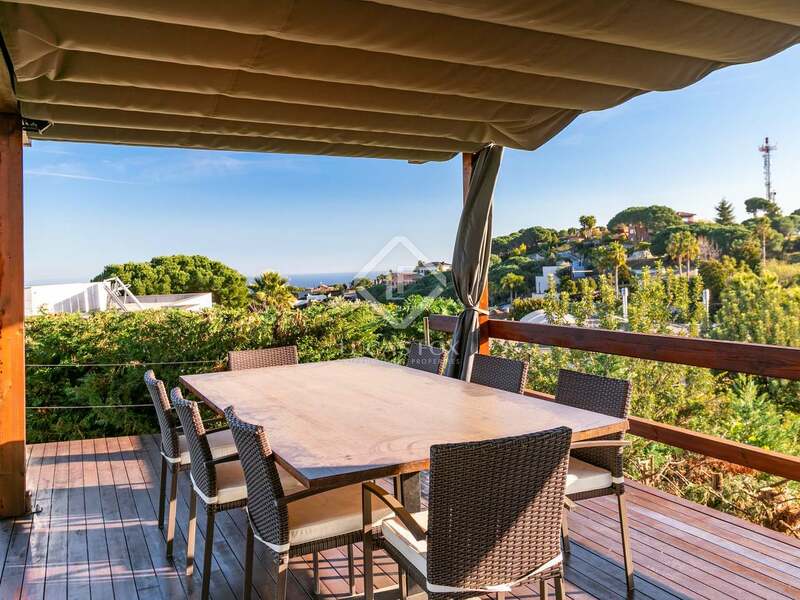 This spectacular property is constructed on a ridge overlooking the attractive town of Sant Andreu de Llavaneres, with panoramic views to the sea. 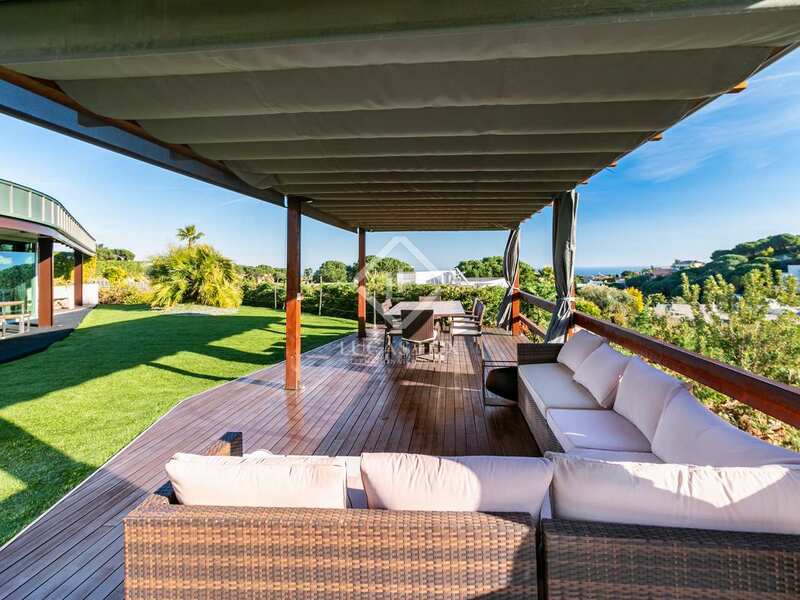 The town centre is within walking distance, while the marina at Port Balis, the beach and no less than 3 golf courses are just a 10-minute drive away. 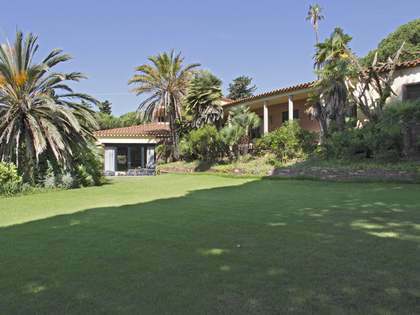 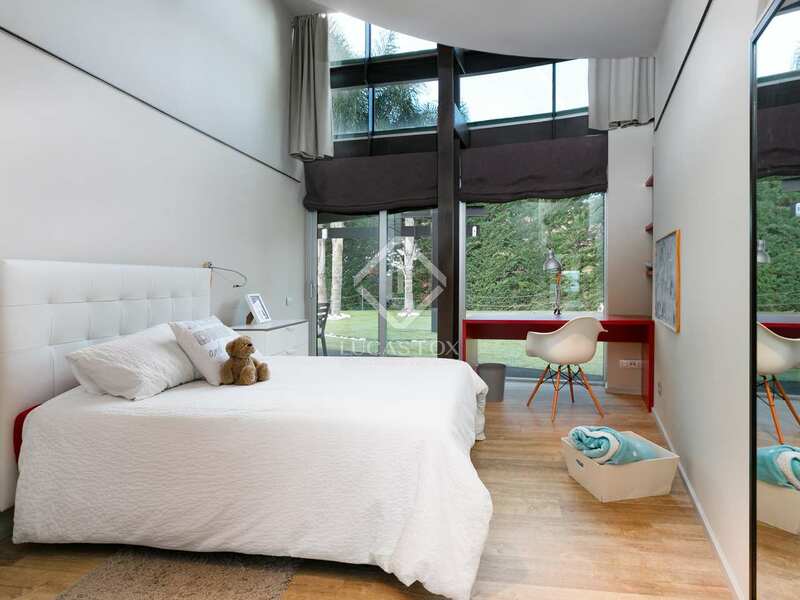 It is 25 minutes by car to an international school, and 35 minutes to Barcelona.